These crunchy snacks are super easy to make and very healthy. 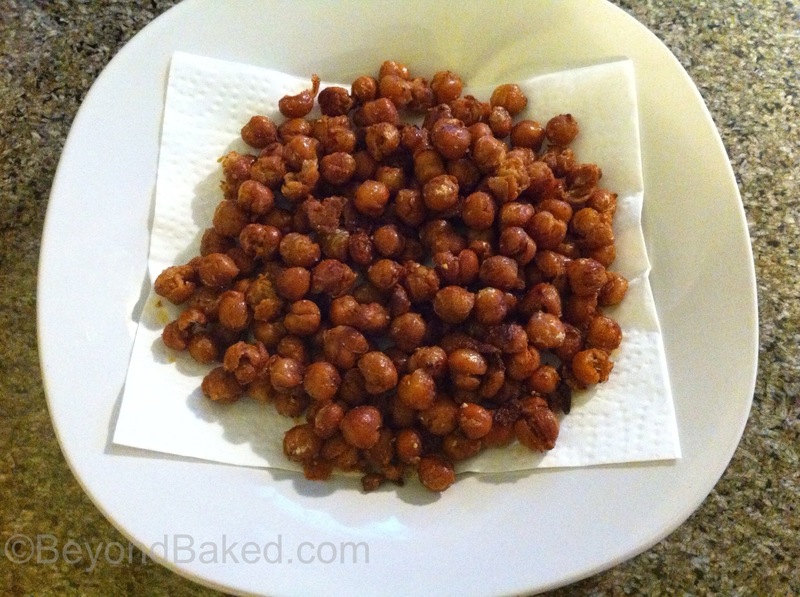 Chickpeas or garbanzo beans, are packed with fiber and protein as well as a slew of vitamins. I fry mine in good organic virgin coconut oil, it’s healthy and perfect for frying. You might think it would make them taste like coconut, instead it gives the beans a buttery taste. I also use this oil for popcorn, it’s DIVINE!!! A word of caution, some people are allergic to garbanzo beans and should not eat these. I’ve also read eating too many can add to the accumulation of kidney stones. With anything, even natural, always use good judgement and don’t over do it. Rinse beans and dry with a paper towel. Rub them with the towel to loosen skins, you can remove these or fry then up also. Heat oil in a large pan to medium heat and drop in the beans. Keep stirring while frying and add oil if needed until they get dark brown. If you don’t cook them long enough they won’t be crunchy. Drain a bit on paper towel, sprinkle with salt, pepper and smoked paprika. Make sure they are cool and enjoy either as a snack or a salad topping.